We seek to train and encourage students spiritually, academically, physically, and socially according to principles from the Word of God (Luke 2:52; Colossians 1:28–29). 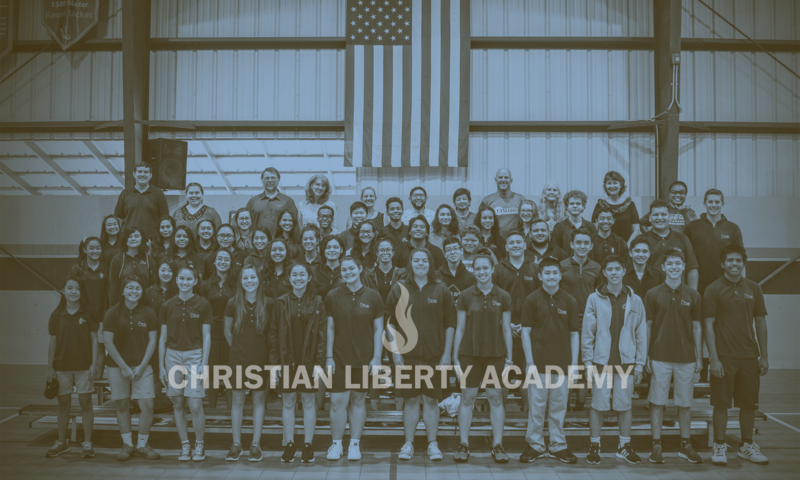 It is imperative that each staff member understand and acceps the responsibility of the Mission Statement of Christian Liberty Academy. We believe that the Old and New Testament Scriptures are verbally inspired of God and inerrant in the original writings, and that they are the supreme and final authority in faith and life. We believe in one God, eternal, omnipotent, omnipresent, manifesting himself in Three Persons—Father, Son, and Holy Spirit—one in nature and equal in attributes, power, and glory. We believe that the Lord Jesus Christ was begotten by the Holy Spirit, born of the Virgin Mary, and that He is all God and all man. We believe that man was created in the image of God and in a state of innocence; but man willfully transgressed God’s law and lost communion with God, becoming dead in sin, corrupt in nature, and incapable of pleasing God. We believe that Jesus Christ died for our sins according to the Scriptures as a representative and substitutionary sacrifice, and rose again; and that all who believe in him are justified on the basis of His shed blood and are saved by grace through faith wholly apart from human merit and works. We believe that all who are born again by the Holy Spirit and receive the Lord Jesus by faith through the word of God have thereby become the children of God, possessing eternal life. We believe in the resurrection of the crucified body of our Lord, in His ascension into heaven and His present life there for us as High Priest and Advocate. We believe in the personal and visible premillennial return of our Lord Jesus Christ to reign upon the earth. We believe in the bodily resurrection of all the dead: the saved to a life of eternal glory and bliss in heaven with God; the unsaved to eternal judgment of conscious suffering and woe in the lake of fire. We believe in separation from all practices that would hinder a believer’s testimony and walk with the Lord, since his walk with the Lord and God’s everlasting grace is the only Scriptural basis for a useful Christian life.